Welcome to my card shop! Please see directions to navigate my shop and how to reach me on the left side column. New Cards Are Always Being Added!!! Hello there, glad you stopped by. 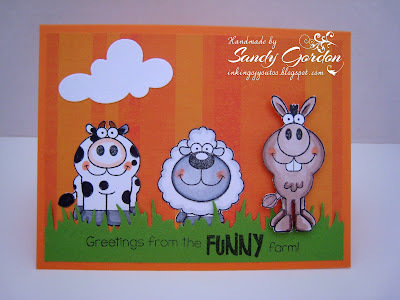 This is a cute card I made using a Conie Fong image. 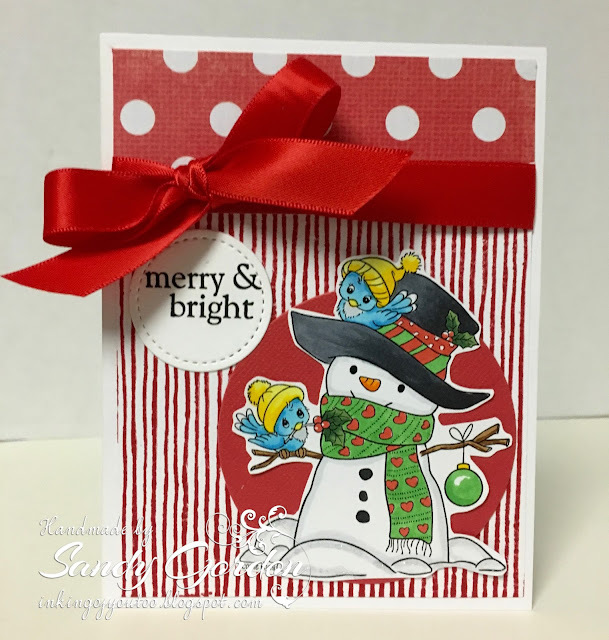 I stamped the striped background and just love it with the polka dot paper. Colored the snowman image with Copic Markers. Have A Great Day and let me know if you have any questions! You can see more about it by clicking HERE to go to my other challenge blog. Above you will see tabs for all different types of hand-made greeting cards I have personally made for sale. Click on the subject you are interested in seeing and it will bring you to that page. Scroll through all the pages to see all for sale in that category. if a sentiment is inside it will tell you. Email or Message me below each card you are interested in purchasing. 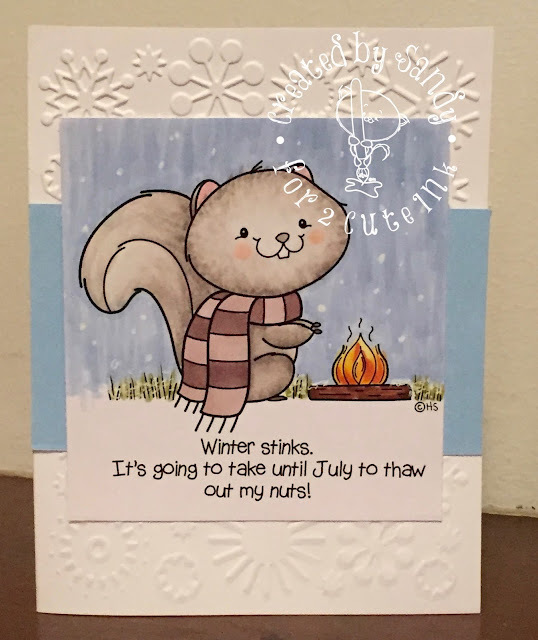 (My cards are one of a kind) Special orders must be a minimum of 4 cards. 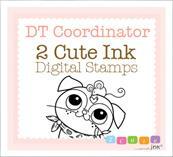 All cards are $4.00 unless stated. I accept cash or checks only. I mail in Flat Rate USPS boxes only to protect the cards. Questions? Please email or leave me a message here. Thank you for stopping by my little shop!